Question: Today a usg has been done..there is no heart....is it normal or a case of miscarriage?no pain so far...doctor asked to go to next morning? Answer: hi dear! so if there is no heartbeats at 9 weeks also then you will have to abort the baby . sorry to tell you this . but if it does not come by 9 weeks then there is no point waiting as it wont come dear if rest of the reports are normal dear. you can still take tablets and get it aborted and then perform a scan to see for any residues after the bleeding after medicines. take care dear! Question: Today I have been a USG test.. Dr. found no heart beat so. Dr. suggest repeat the same after 10 days.. I'm worried. Is it normal? Question: Today my usg has been done. During usg I felt pain in lower abdomen. I am very much tensed about that.. is there any abnormality? Answer: Lil lower abdomen pain is comman during pregnancy. Agr koi problem hoti to Dr bolti aj. Trust on ur Dr. Don't take Tnsn. Question: Hi. Today was my thrd scan yo confirm the heart beat. Doctor said. There is no heart beat n crl has decreased to 3 frm 3.7. It means it is sign of miscarriage. And has asked me to get DNC TOMORROW. what shd i do. Shall i wait for my body to releasr by its own. Or shall i be still hopeful. 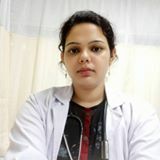 Answer: Hi dear sorry to hear that but if doctor is suggesting you about DNC then you should follow it as if there would be possibly I am sure doctor would have informed you. And it's better to follow the doctor rather than waiting for your body to release as it might create complications for you. Take care.